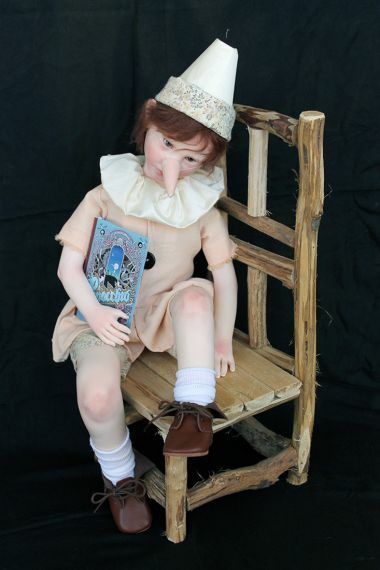 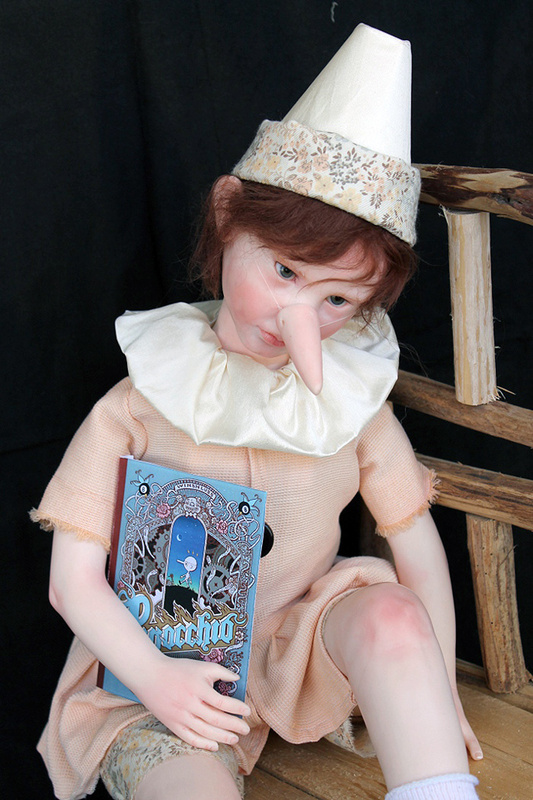 Pinocchio the Real Boy is a delicate and realistic portrayal of the beloved literary character of the wooden marionette become real boy. 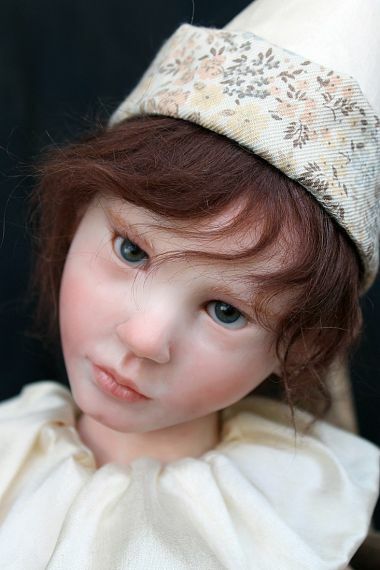 This one of a kind art doll is by contemporary Italian doll artist Elisa Gallea. 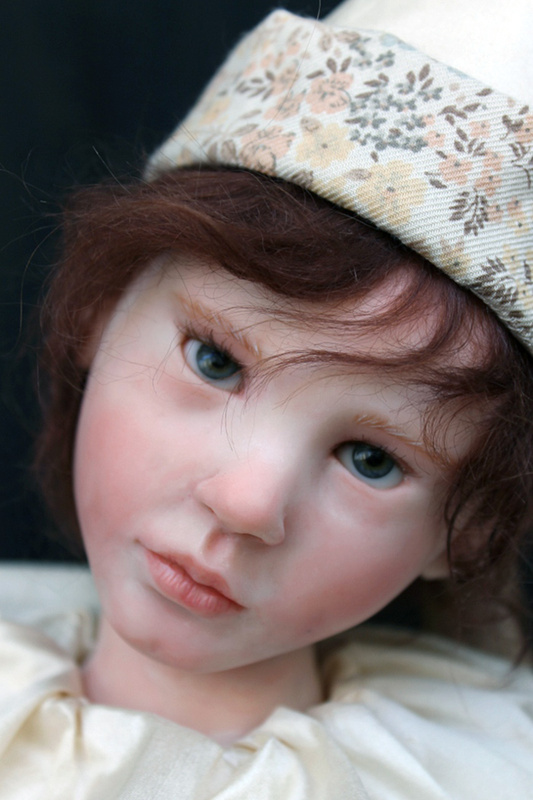 He is a polymer clay sculpt (Cernit and Fimo) for head, breastplate, arms to above the elbows, and legs. 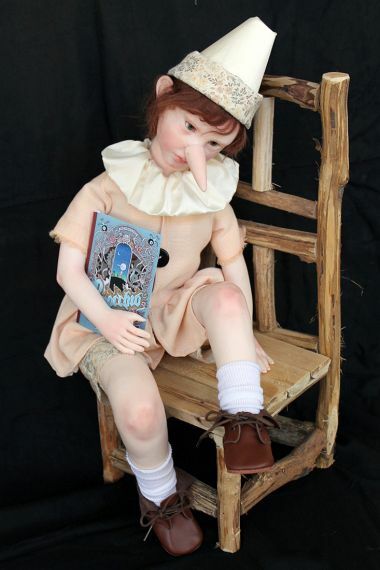 He wears the simple pale tones ensemble of his wood puppet days, but here we have the Real Boy . . . His polymer clay sculpted nose is held in place by a thin clear elastic band which is worn around his head. It comes off to reveal a little boy with a little boy's nose and sweetly handsome profile. 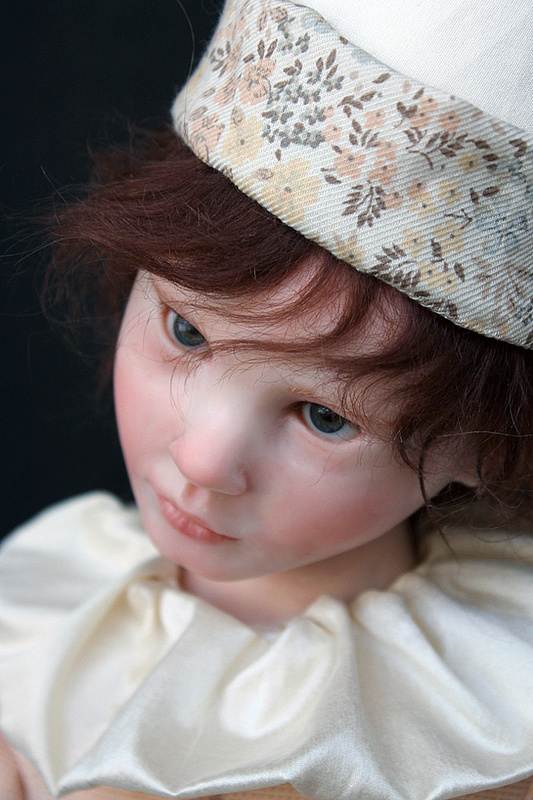 He has deep glass eyes and mohair hair. He is 26 inches tall, and comes with his rough hewn wood chair, carrying his wood book. 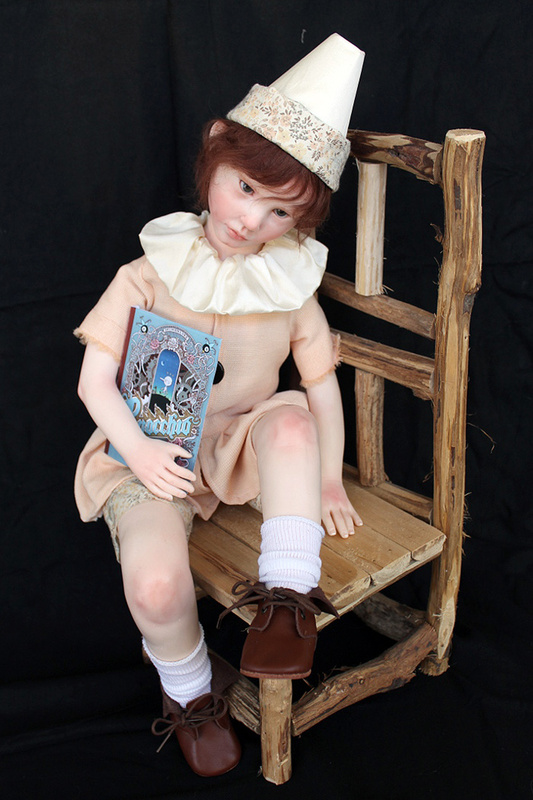 He is a most poignant boy character art doll.